Fredriksen Fire prides itself in finding hard-working professionals. If you are interested in applying, please email your resume and cover letter to careers@fredriksenfire.com. Feel free to include work experience, qualifications, position desired, and salary requirements. Fredriksen Fire Equipment Company is accepting applications for Field Service Technicians. 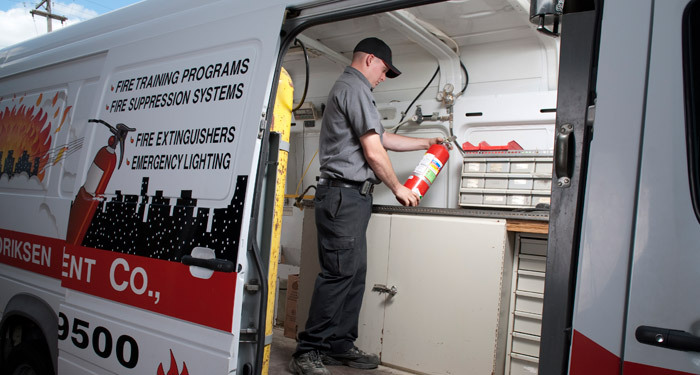 Duties include servicing fire extinguishers and keeping the customer's location up to code. A clean driving record and ability to pass a criminal background check and pre-employment drug screening is required to apply. Must be able to stand for extended periods of time and routinely lift up to 50 pounds. careers@fredriksenfire.com or fax to 630-595-3548.